Do you Know your Road Markings? Knowing and understanding the various road markings that adorn the country’s roads is a vital aspect of being a safe driver. By ensuring that you are familiar with these markings, you can make your driving experience much safer and less stressful. 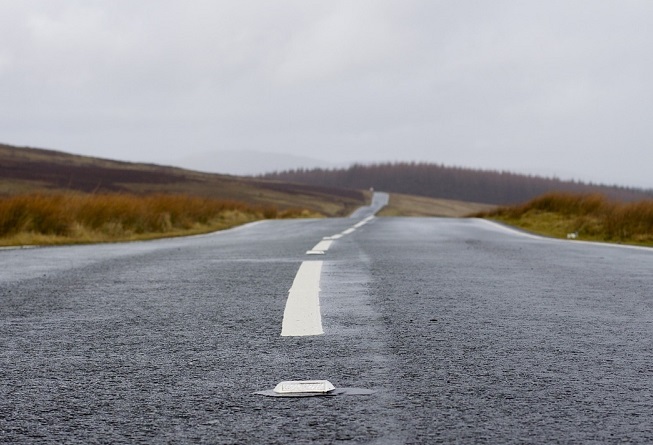 This article will look at some of the most common road markings and what they mean. Broken white lines are painted in the middle of the road, and they mean that you are not allowed to cross them unless turning off or overtaking another motorist. If you notice the lines getting longer and the breaks between them getting shorter, that means there’s a hazard ahead. These markings mean that it is only ok to overtake if you think it is safe. You must only attempt the manoeuvre if you can get back to your side of the road before the broken white line changes into a solid one. This means that you must not cross this line unless it is safe to do so, but only to turn off into a side road or an adjoining property. You are also allowed to cross this line to pass a stationary vehicle or a cycle, horse or maintenance vehicle travelling slower than 10mph. These markings are designed to protect traffic turning right or to separate lanes of traffic. If these chevrons are in an area bordered by a broken white line, motorists should only enter the area if it is safe to do so. If it is bordered by a solid white line, then you must not enter the area unless it is an emergency situation. There are a range of different road studs that can be seen on carriageways, each one with a different meaning. White studs – White road studs are used to mark the middle of the road, or on roads with more than two lanes, they are used to mark the different lanes. Red studs – Red studs are used to mark the left edge of the carriageway. Amber studs – These are only used on a dual carriageway or motorway to mark the central reservation of that road. Green studs – Green studs are used to mark the edge of the main carriageway on slip roads and lay-bys. Green/yellow studs – Used to indicate any temporary changes to the layout of the lanes – for example, roadworks. Here at UK Surfacings Ltd, we are proud to offer the highest quality surfacing work for domestic and commercial customers alike. Whether you need a road resurfacing or a driveway retouching, we can ensure that your surface is returned to the highest possible standard in a professional, efficient manner. Get in touch with us to find out more. « A Run-Down of Car Park Prices at London Airports – with infographic!